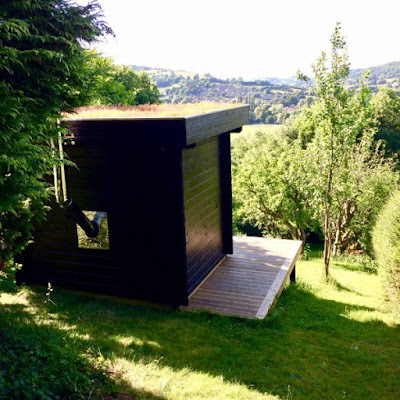 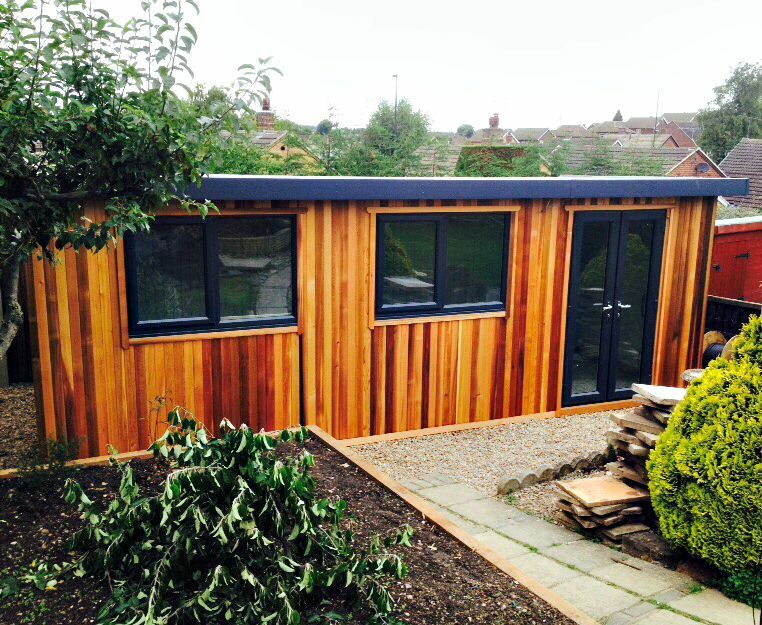 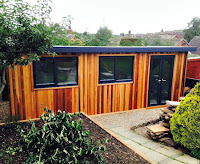 Here's an attractive Garden Affairs garden office for a writer in the West Country which also has marvellous views over the neighbouring valley. 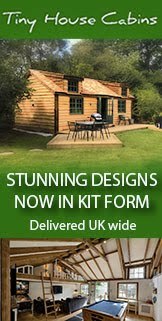 It's a 2.5m x 2.5m flat roof log cabin in 58mm timber, with the exterior decor inspired by a trip to Sweden, and a green sedum roof. 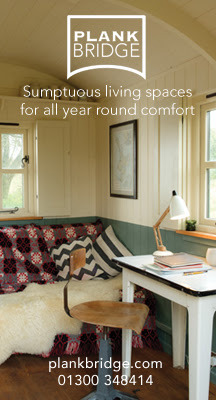 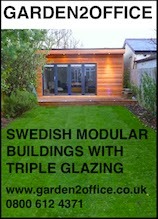 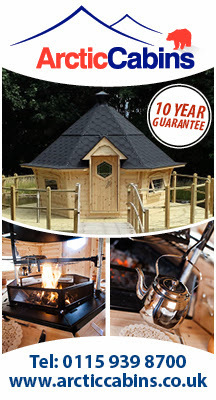 Other features include decking outside and a log burner inside. 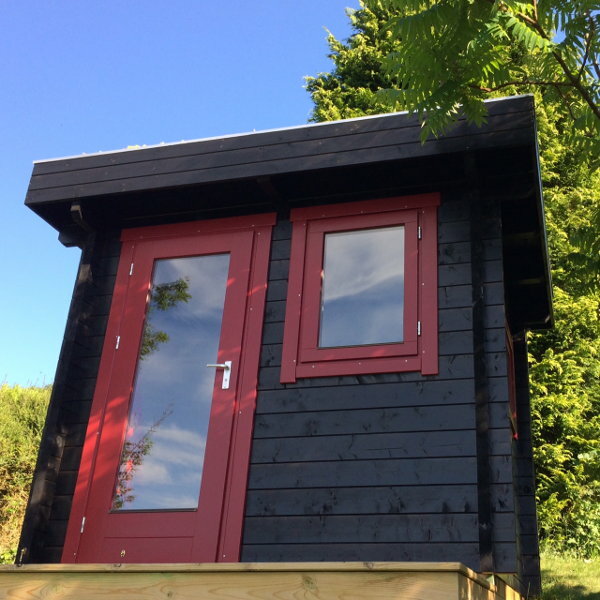 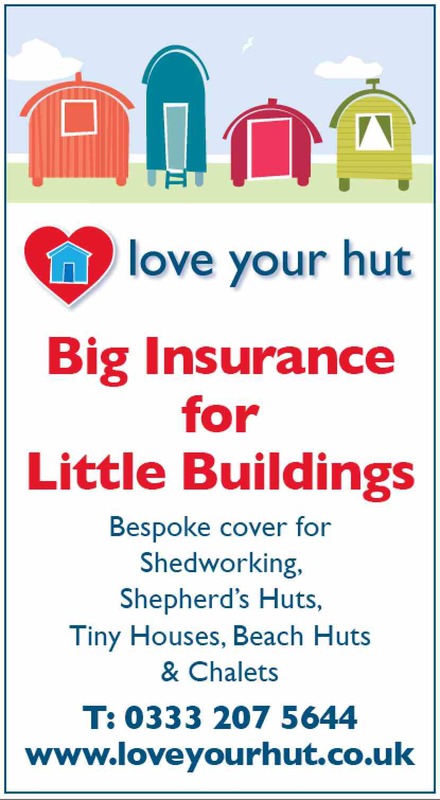 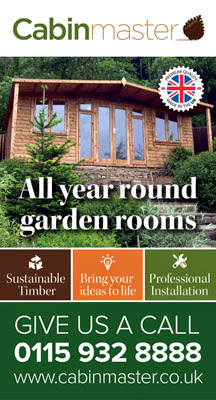 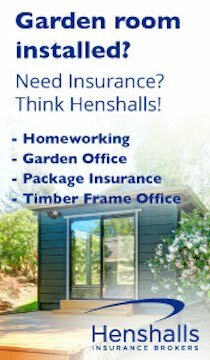 Garden Affairs also have a couple of offers running at the moment until the end of July, offering up to £750 off Scotts of Thrapston summerhouses, and a free paint finish on cedar Chelsea Summerhouses.